Not going to lie, this post comes straight from my bed. The bed I have been dreaming about crawling back into since 9am this morning (it’s now 11:48pm on Sunday night) and one of the places I love being the most. I never used to be one for staying in bed, I’m happier plodding about in the house, I used to think a lie in was a waste of a day off. But recently, I’ve taken to reading in bed or listening to podcasts whilst relaxing. Maybe it’s me getting old, maybe it’s be appreciating my days off more. Either way, I love my bed more than ever! 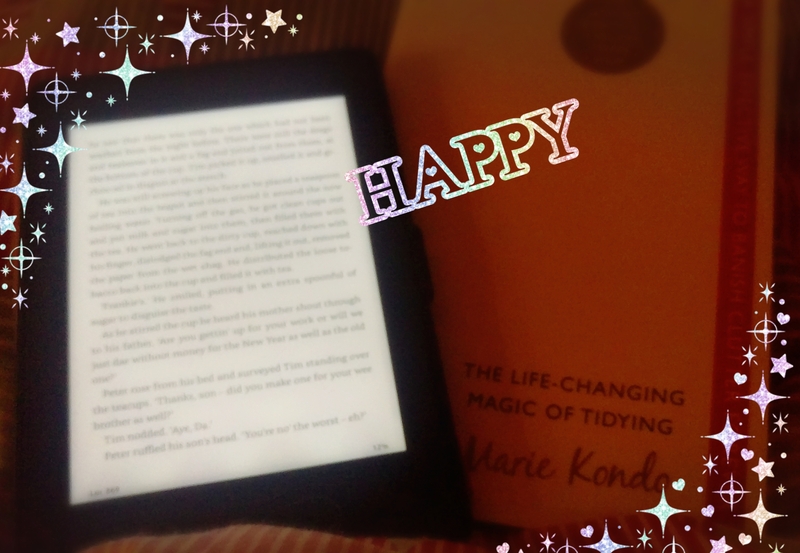 My reading list is depleting, though I have been making a few cheeky additions to it, including a physical copy of Marie Kondo – The Life-Changing Magic of Tidying on recommendation from my friend Kat. I’m currently reading Tony Roper – The Steamie which I remember watching every Hogmanay with my mum when I was younger. But after this I swore, no more books until my kindle library is complete read! I am also finding leaving my bed incredibly difficult most mornings. I manage to drag myself out if I am interviewing but it really is a test against my will not to have a lie in. I had been having issues with my iron levels a while back, may need to work on them again. I have a SAD alarm clock which has been scaring me into thinking I’ve slept in more than gently raising me from my pit! A comfy bed truly is a privilege!